Parking is a key component of vibrant and viable downtowns. An efficient and effective parking program provides the opportunity for residents and visitors to enjoy living, working and recreating. Lake Worth has an active downtown core along Lake and Lucerne Avenues, and growing development opportunities within and just outside of the downtown area. Adequate parking supply is a necessary component to support the continued evolution of downtown Lake Worth. The core of downtown Lake Worth has seen significant changes over the last several years. Along with the success of the area, there has been an increase in parking demand that has placed pressure on the public parking assets. 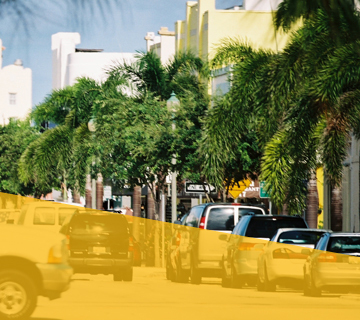 To promote continued growth and vitality of the downtown core, Lake Worth needs to increase parking capacity to ensure current and future parking demand is met. This study includes a review of local ordinances and policies to assist the City with understanding parking needs and how to best manage a municipal parking program in an evolving downtown. A comparable cities analysis was conducted to understand how other cities similar to Lake Worth organize and administer parking. Lake Worth indeed has unique qualities and characteristics, but also shares similar parking and transportation challenges with other cities. Download the Downtown Parking Study to learn more about the future of parking in Lake Worth.